A research team from a variety of disciplines drives the independent research into Grace Examined: Evaluating Gestalt Pastoral Care Spiritually Integrated Strategies For Clinical Effectiveness. We are pleased to introduce these highly qualified people to the general public. 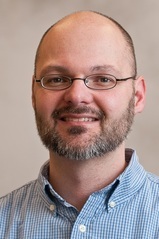 Michael Crabtree, Ph.D., is principal investigator of the project. He is a licensed psychologist in Pennsylvania, a professor at Washington & Jefferson College in Pennsylvania, and a research principal investigator or associate in at least thirteen research projects, including principal investigator for the $5.9 million Combat Stress Intervention Program for the Department of Defense from 2007-2012. He has an impressive list of publications in peer-reviewed journals, general public outlets, books, and book chapters. Benjamin Seltzer, Ph.D., will lead the analysis of data collected through this research. An assistant professor at Washington & Jefferson as well, Dr. Seltzer’s research interest is in psychometric measures of human differences. He has participated in the data analysis of a number of research projects, has collaborated with Dr. Crabtree to develop the research design for this project, and will continue as the data is collected and ready for analytical investigation. Michelle Zechner, Ph.D., is serving as the mental health educator for the project and will take the lead in guiding the publication, publicity and dissemination areas. An assistant professor at Rutgers University, her area of expertise is psychiatric rehabilitation and counseling. She has served as principal investigator for three research projects, co-investigator for six projects, published nine articles in peer reviewed journals and two articles in technical publications. 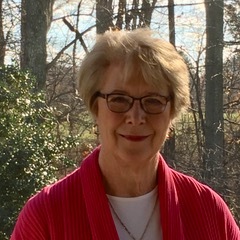 Wanda Craner, M.Div. GPCM, is currently the President of the Board of Trustees of Gestalt Pastoral Care Associates, Inc. and is serving as the clergy and practitioner member of the multidisciplinary team, as well as the “champion” of the project. Rev. 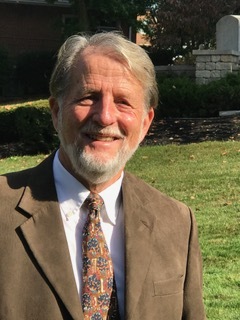 Craner is an ordained minister in the United Church of Christ (UCC), served as Minister of Spiritual Nurture for the Penn Southeast Conference of the UCC for nineteen years, and was trained in Gestalt Pastoral Care by founder the Rev. Tilda Norberg over twenty years ago. David Janvier, M.A., LPC, CST, GPCM, is the “site manager” of the project. Also serving as a research practitioner, he will coordinate the data collection, training, and ongoing support of GPC practitioners participating in the study. Mr. Janvier has contributed to the selection of local assessment tools for the project and will meet with practitioners multiple times throughout the research period to ensure consistent collection and reporting of data. Sylvia Crocker, Ph.D., brings her expertise in Gestalt psychotherapy to the table. Dr. Crocker is a licensed Gestalt psychotherapist in Wyoming, has taught and written articles for an array of journals, and contributed to the definition of Gestalt therapy for this proposal. She is best known for her often-cited book entitled A Well-Loved Life: Essays in Gestalt Therapy, published by the Gestalt Institute of Cleveland, 1999. Mary T. O’Neill, D.Min. brings her roots in pastoral care. Dr O’Neill is a Board Certified Chaplain and ACPE Supervisor (BCC-S) and currently serves as the President of the Board of the National Association of Catholic Chaplains (NACC). Among her varied career experiences, she ministered to the sick, destitute and dying in Calcutta, India, while working with Mother Teresa of Calcutta’s sisters.